ASTM B381 / ASME B16.11 / UNS N56400 / DIN 3.7165. ASME B16.11 Titanium Grade 5 Threaded Fittings, Titanium Alloy Gr.5 Socket weld Fittings, Ti Alloy Gr.5 Forged Fittings Exporter in India, Titanium Gr.5 Forged Fittings, Titanium Grade 5 Forged Pipe Fittings, Ti Alloy Grade 5 Threaded / Screwed Fittings, Grade Gr.5 Titanium ASTM B381 Forged Fittings, UNS N56400 Forged Socket Weld Fittings, Titanium Alloy Grade 5 Forged Fittings, Titanium DIN 3.7165 Forged Fittings Supplier in Mumbai, India. Titanium Gr 5 Forged Fittings has good tensile properties at ambient temperatures and a useful creep resistance up to 5700F. The grade 5 forged fittings has outstanding resistance to corrosion in moist environments and many industrial processing environments. 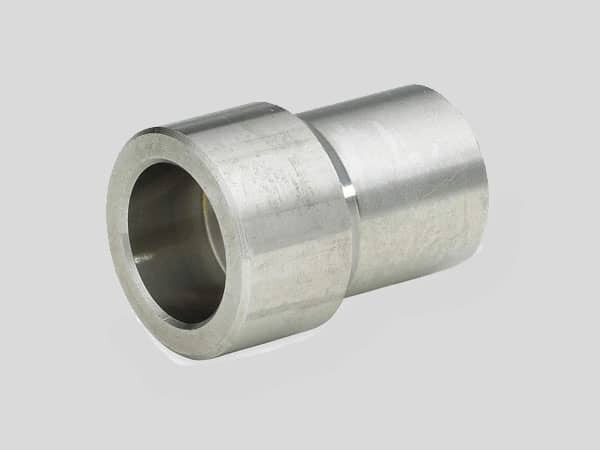 Titanium Gr 5 Socket Weld Fittings are manufactured by advanced machinery and latest methods, offers only great and precise products, well these go with heat treatment process, for strengthening the fittings, and it eliminates the manufacturing defects. Matte, BA, NO 1 finish, and bright black polish are done on the surface of fittings. Radiographic test, positive material test, intergranular corrosion test, flattening test, flaring test, and other quality assurance tests done while manufactured fittings. Before packaging third parties inspect fittings for assured quality. 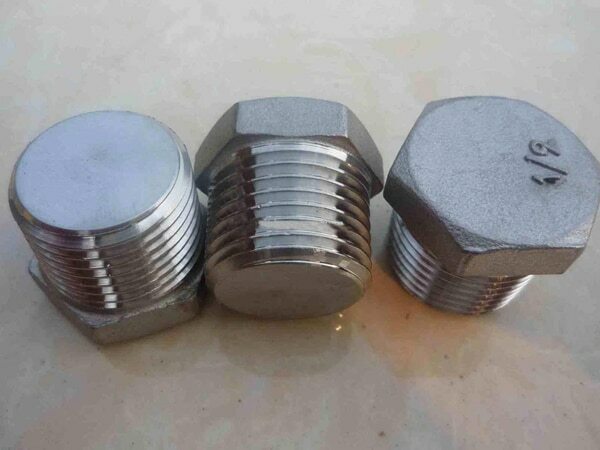 Cease forged fittings pack in wooden, crates, pallets, this secures fittings while exporting. This is convenient for transport and easy to store. Manufacturers promise only quality product reach at your doorstep. Jayesh metal corporation exports forged fittings globally, use the only quality product for manufacturing these fittings. Only skilled workers engaged in the production process improves the surface quality. 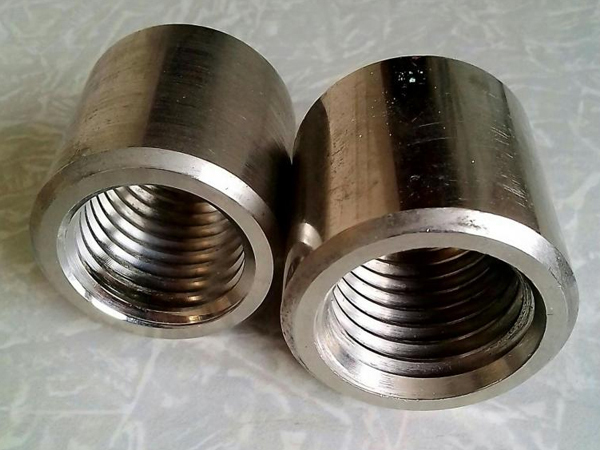 For all inquiries related to Titanium Gr 5 Threaded Fittings, kindly cont us from our website. Our delivery services are fast you get your order timely at your destination. Kuwait, United Kingdom, Malaysia, Jordan, Afghanistan, Australia, Ireland, Bulgaria, France, Algeria, United Arab Emirates, Yemen, South Africa, India, Pakistan, Greece, Costa Rica, Ghana, Sweden, Singapore, Romania, Hungary, Oman, Zimbabwe, Finland, Croatia, Denmark, Indonesia, Nigeria, Mongolia, Lebanon, Belarus, Macau, Russia, Angola, Serbia, Kenya, Egypt, Slovakia, Tibet, Poland, Bangladesh, Argentina, Germany, Kazakhstan, China, Venezuela, Netherlands, South Korea, Libya, Nepal, Taiwan, Bhutan, Nigeria, Spain, Mexico, Italy, Azerbaijan, United States, Bolivia, Ecuador, Lithuania, Iraq, Gabon, Vietnam, Morocco, Ukraine, Hong Kong, Saudi Arabia, Switzerland, Puerto Rico, Israel, Poland, Mexico, Peru, Czech Republic, Estonia, Portugal, Iran, Bahrain, Turkey, Gambia, Namibia, Sri Lanka, Colombia, Austria, Chile, Japan, Belgium, Norway, Brazil, Qatar, New Zealand, Chile, Trinidad & Tobago,Tunisia, Iran, Thailand, Canada, Philippines. Kuala Lumpur, Jaipur, Colombo, Nashik, Atyrau, Bangkok, Doha, Indore, Vung Tau, Chandigarh, Ho Chi Minh City, Caracas, Thane, Busan, Karachi, Madrid, Dallas, Bogota, La Victoria, Hong Kong, Muscat, Brisbane, Hanoi, Baroda, Noida, Lahore, Thiruvananthapuram, Algiers, Haryana, Kolkata, Jeddah, Abu Dhabi, Sydney, Visakhapatnam, London, Bhopal, Vadodara, Aberdeen, Tehran, Ahvaz, Navi Mumbai, Ludhiana, Perth, New Delhi, Los Angeles, Ernakulam, Nagpur, Kuwait City, Geoje-si, Milan, Toronto, Ranchi, Rajkot, Houston, Chiyoda, Singapore, Cairo, Sharjah, Courbevoie, Lagos, Ankara, Jamshedpur, Coimbatore, Santiago, Kanpur, Dammam, Al Jubail, New York, Al Khobar, Riyadh, Rio de Janeiro, Ulsan, Jakarta, Dubai, Petaling Jaya, Calgary, Secunderabad, Hyderabad, Manama, Faridabad, Moscow, Howrah, Edmonton, Mexico City, Melbourne, Surat, Granada, Port-of-Spain, Pune, Bengaluru, Montreal, Gurgaon, Pimpri-Chinchwad, Seoul, Mumbai, Istanbul, Chennai, Ahmedabad, Gimhae-si.